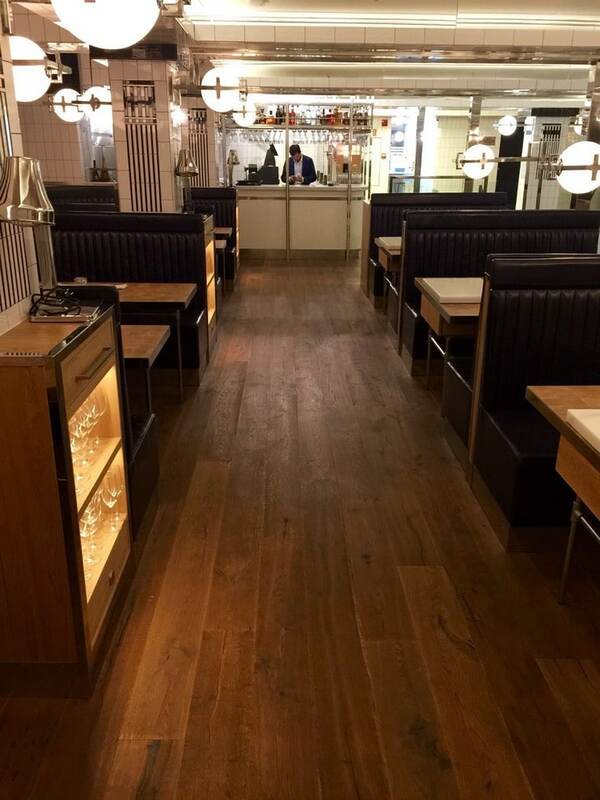 We’re always pleased when our clients send us pictures of their wood flooring projects. 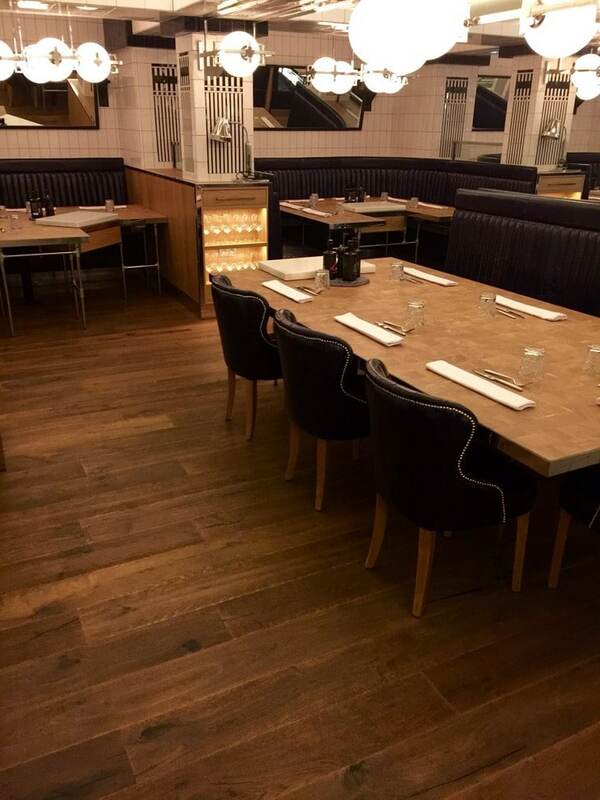 It allows us to see how our timber is incorporated into a wide range of different designs. It may seem a little strange to say so, but we can’t help but feel a little proud when those photos arrive in our inbox. Well, really proud, actually. 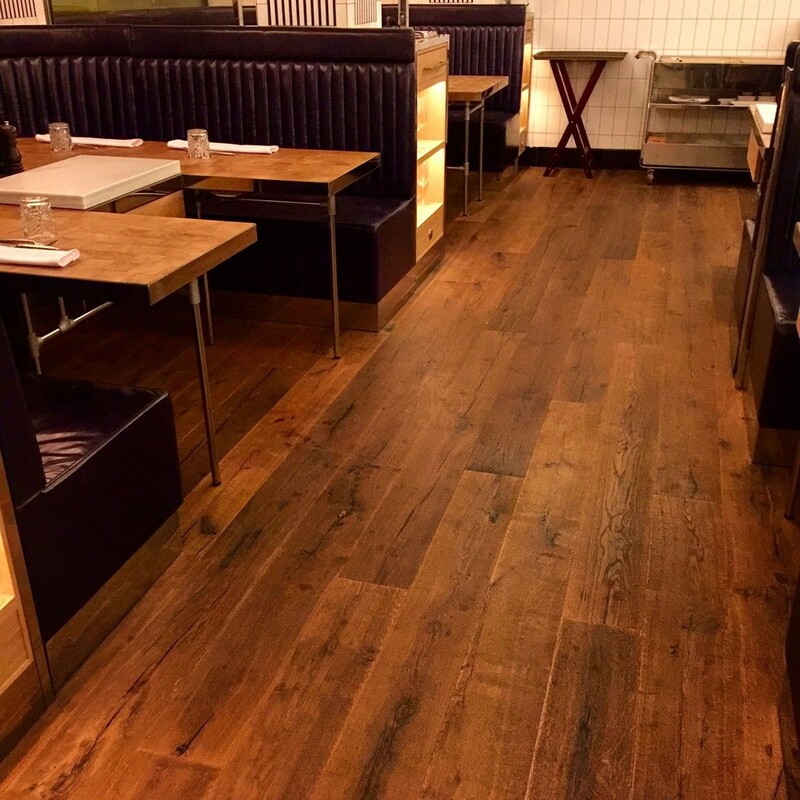 We were especially thrilled when we received these pictures of our Millesime engineered hardwood flooring, that one of our clients had chosen for his restaurant and bar. 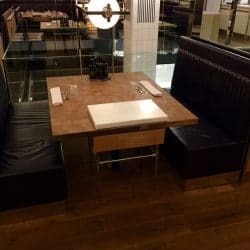 Although our Millesime flooring comes in a range of different tones, this client opted for Jerez Double Smoked, which contrasts with the black leather booths and the clean white tiles and tableware to create an absolutely stunning effect. 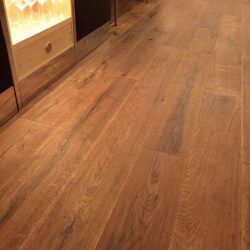 One of the things that makes Millesime flooring so beautiful to look at, is that every board is aged by hand by an experienced craftsmen. In the days of machine distressed flooring, this makes Millesime flooring pretty unique. 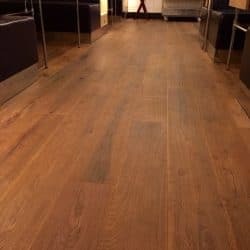 It also makes every board of this flooring full of character and great for adding heritage to a new space. This client has created a stunning effect by contrasting the distressed, rustic nature of the Millesime hardwood flooring with the sleek, modern light fittings, metallic pillars and tiled walls. 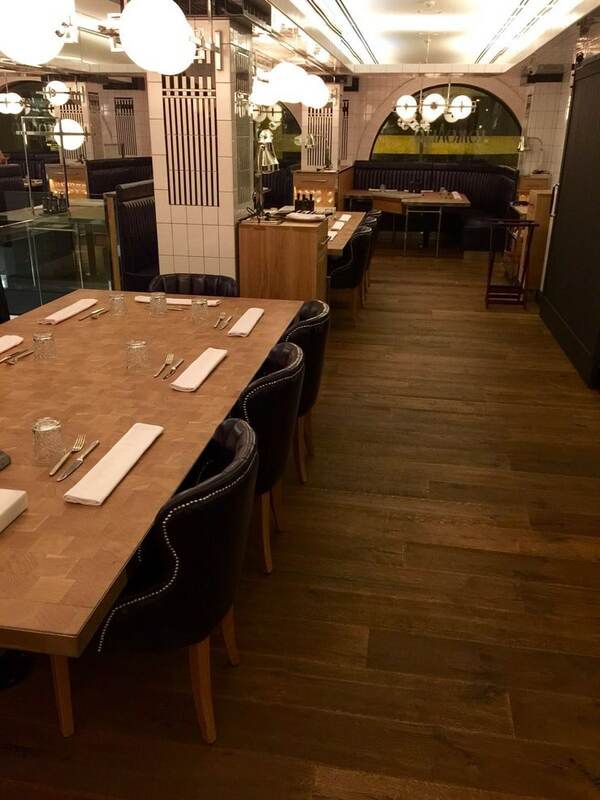 This gives his restaurant an authentic edge, while keeping it clean and uncluttered. The focus here is very much on the food that is to come, with the restaurant design simply providing a beautiful backdrop. Although it’s a new floor and therefore not an original feature, it feels as if it’s supposed to be there. It fits so well with the arching windows. We can almost imagine it may have been installed many years ago; perhaps when the building was a train station or a post office. 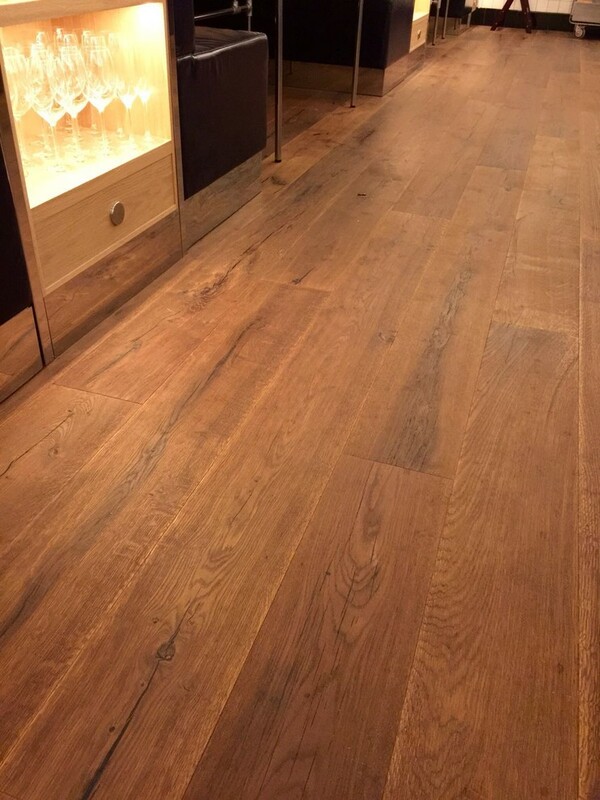 The different shades and textures of the wood boards and the darkness of the wood grain, make this floor even more beautiful close up. 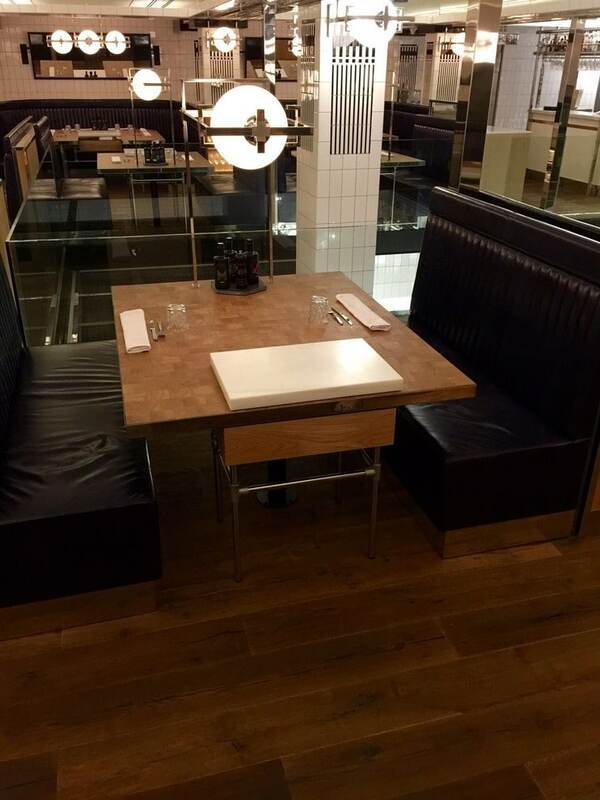 We particularly love the lit-up wine cabinets, placed sporadically throughout the restaurant. Their elegance contrasting perfectly with the rugged nature of the wood. 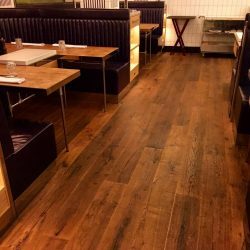 Here at Exterior Solutions, we are dedicated to supplying unique flooring products. 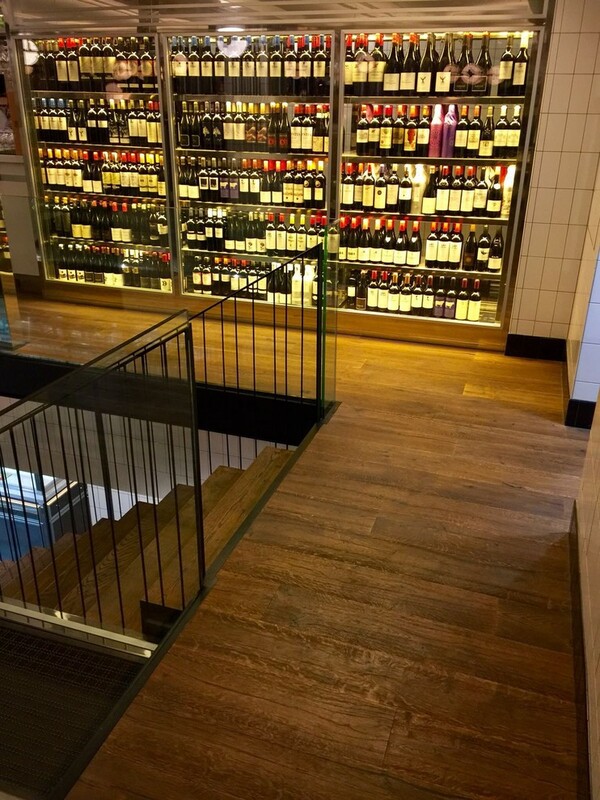 Our flooring has been used for a wide variety of international and high calibre projects. 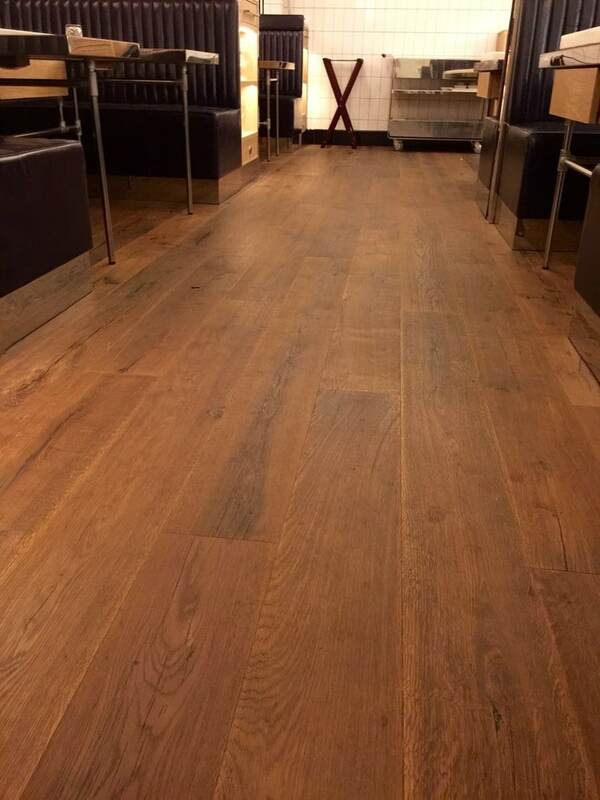 We love to see how our clients incorporate our flooring into a design and make a feature of it. 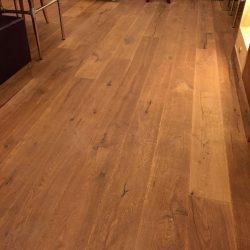 Have you used our wood flooring for your project? We’d love to see some photos! 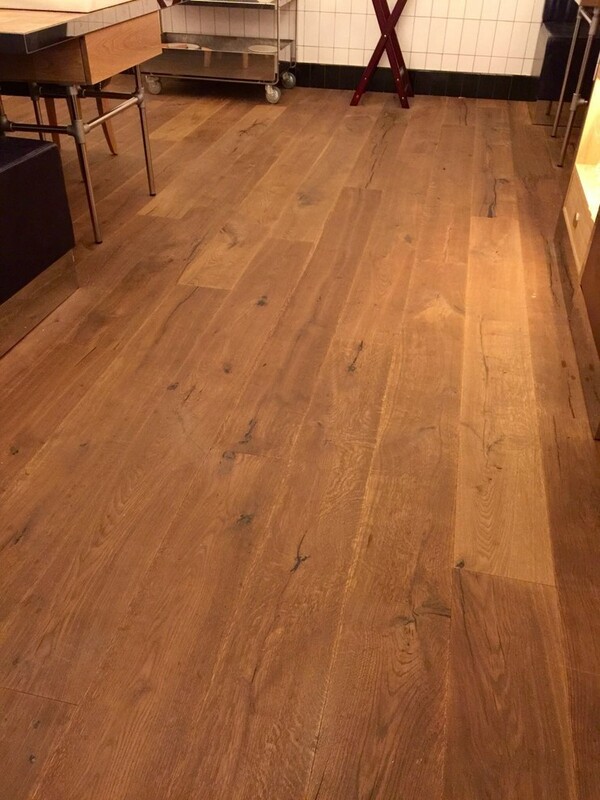 Want to know more about our Millesime engineered hardwood flooring or any of our other wood flooring? Get in touch with one of our team today for a chat.